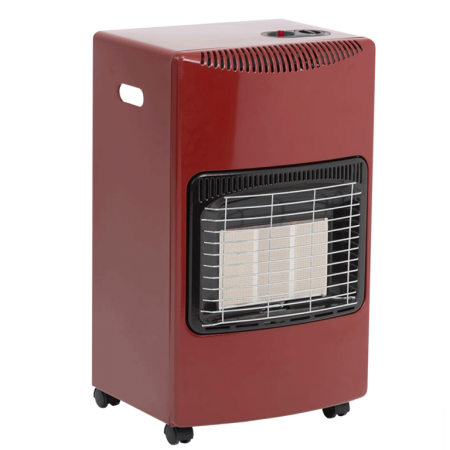 The Red Seasons Warmth Radiant Cabinet Heater is a butane gas burner with variable heat settings. The ODS (oxygen depletion system) safety valve and flame failure device means that the gas will cut off if the oxygen levels are too low or if the cabinet should fall over. Other features include built in Piezo ignition, 3 x plaques, chrome wire guard and castors for mobility. 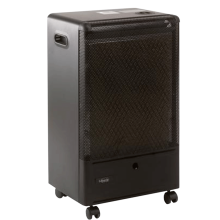 This product also has a back support for the gas cylinder and is available in black!